We are pleased with your interest in Kriya Yoga and invite you to get a first impression. 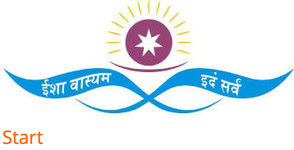 Kriya Yoga is a very effective combination of physical exercises, breathing and meditation techniques, giving simultaneous benefit to body, mind, intellect and Soul. It is a practical and balanced combination of Hatha Yoga, Karma Yoga, Raya Yoga and Bhakti Yoga, leading to Jnana Yoga and God Realisation. It bundles and summarize the essence of these Yoga forms in one. Kriya Yoga is the art and science of Self-awareness and realization of God, as it was revealed to the world by Mahavatar Babaji and Lahiri Mahashaya. Universal and completely non-sectarian and not bound to any religion, Kriya Yoga bundles the common core of spirituality and religion to a deeper understanding of the true meaning of the word “Yoga” ; the unity of the individual Soul with all Souls, with the all Comprehensive Soul, the Creator, the Creation, the Self, God. The unity of our biological self and our Spiritual Self. 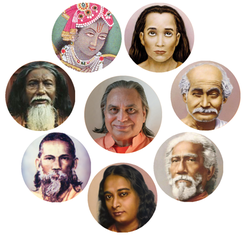 This Kriya Yoga teaching is in the pure and original line of the Kriya Yoga Sat Gurus Mahavatar Babaji, Lahiri Mahashaya, Sri Yukteswar, Paramahansa Yogananda, Swami Narayan Giri, Swami Satyananda Giri, Mahaswami Paramahansa Atmananda. The Indian Yogi Mahaswami Paramahansa Atmananda, who was in his professional career a prominent neurologist, teaches worldwide the original classic Kriya Yoga to sincerely interested people and is the Guru ( spiritual teacher) of Kriya Yoga Nederland. Kriya Yoga leads to innerpeace, better perception and better physical condition. The goal of Kriya Yoga is a stressfree, balanced life and Self Realisation. More information about the background and meaning of this spiritual tradition can be found under “Kriya Yoga background information”. For details of events in Amsterdam, Rotterdam and abroad see “Activities”. With pleasure we will answer any further questions per e-mail.